Jasmine grew up in Maple Plain, and now lives in Spring Park with her little brother, Jesse, and Ragdoll kitty, Dolly. Outside of work, Jasmine enjoys going camping, reading, listening to music, cooking, and spending time with friends and family. Blair has been with Gehrman's since March of 2017, before that she bounced around many fields before finding her calling in Veterinary medicine. She has a bachelors in Fisheries and Wildlife Biology and minors in Environmental Policy and Spanish studies from the U of M which she competed in December of 2015. Blair plans to attend Vet school within the next couple of years and is currently taking prerequisites and is also studying to become a wildlife rehabilitator. In her free time she enjoys spending time with her two cats, Mr. Meow and Minerva Mini Kitty, yoga and travelling abroad. Gwen joined the Gehrman Animal Hospital team April 2018 after working at another Minnetonka animal hospital for a year and a half. Before starting her career in the veterinary medicine field, Gwen worked in retail, child care, and even spent a few years working at a petting zoo! Growing up with all sorts of pets, Gwen has always known that working with animals is her calling in life - it was only a matter of finding the right place to be. Her favorite part of working at GAH is being in an environment where she can learn new things about animal medicine every day. She soon plans to start taking classes to become a CVT. In her free time, Gwen enjoys reading, hiking, and all things music. As for pets, she has a black cat named Smeagol, a tuxedo kitten named Alfred, and a Terrier x named Oscar. 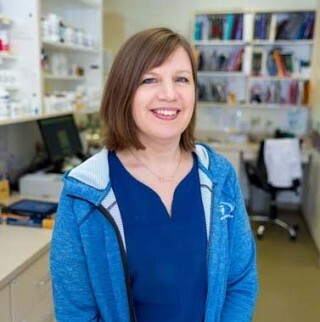 Susanne has worked as a Vet Assistant for Gehrman Animal Hospital since 2011. She has a bachelor of science degree from NDSU in Natural Resource Management, but after working in environmental consulting realized that her heart was in the animal world! Her work with the Greater West Metro Humane Society brought her to Gehrman Animal Hospital. Susanne enjoys working with clients and animals in appointments and has been managing the new online store. She has 2 children and is very busy running to sports and activities! She also has 2 orange tabby cats at home - Milo and Leo. Clarissa joined the Gehrman team in September 2017 and she is loving it so far! She brings with her five years of animal handling experience in shelter and daycare settings. She has always had a passion for animals, and after spending time learning about them behaviorally, she is excited to gain experience with the veterinary side of things. Clarissa lives in New Hope with her boyfriend Christopher. She adopted her 60 pound shadow, Whiskey, in June 2015 and the two have been inseparable ever since. The three enjoy camping, fishing, reading, and just relaxing. Clarissa also has a niece (3 years) and two nephews (3 years, 2 years) that she can't get enough of! Whiskey also loves showing off his tricks for them. :) Clarissa's favorite thing about working at Gehrman Animal Hospital is how different each day can be - she loves knowing she will learn something new from each patient. Clarissa is excited to meet you and your pets! 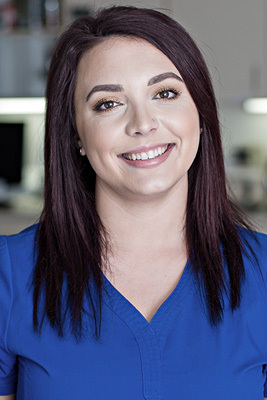 Haley joined the Gehrman Animal Hospital team in October 2018 when she moved from Michigan to Minnesota. She recently graduated from Michigan State University with a degree in Zoology/Cellular and Developmental Biology. Throughout college she taught undergraduate biology labs and did research in swine production and hyena behavior. She even had the opportunity to care for elephants for a summer in Thailand. Her favorite job, though, was raising pigs from farm to fork at MSU’s Student Organic Farm. Not knowing if veterinary medicine was right for her, she decided to try farming and managed a 30-acre microfarm at a bed and breakfast on Lake Michigan, where she learned about forest farming and mycology. It has brought Haley full circle back to veterinary medicine, and she plans on applying to veterinary school in the very near future. In her free time she enjoys cooking, hiking, and hanging out with her two bunnies Russell and Ruby.